Carol Hirashima is a Producer and Editor with over 20 years experience in MultiMedia Production. Her work includes editorial for several early edition programs for ‘Shark Week’, a 104-Episode Adventure Series for HIT Entertainment-UK, and a underwater children’s series called ‘Seascope’ for Jean-Michel Cousteau Productions and HIT Entertainment, UK. A graduate of the University of California, and Brooks Institute of Photography and Film, Carol graduated with a passion for multimedia and documentary film. Her work has included many award-winning short programs for Santa Barbara Non-Profit Organizations. Now an Independent Producer and Editor, Carol has teamed up with colleague Jill Cloutier to promote environmental education through multimedia. They are creators of Sustainable World Media based in Santa Barbara, California. Jill Cloutier is a Radio Producer, Environmental Educator, Writer and Filmmaker. Jill is the host and producer of Sustainable World Radio- Permaculture and Ecology Podcast, an online radio show that explores practical, sustainable, and nature-based solutions to environmental challenges. A Permaculture Design Course graduate, Jill loves to educate about the natural world and is passionate about inspiring people to know that they can make a positive difference. As an Environmental Educator, Jill teaches classes on Watershed Education, Organic Gardening, Composting, and Vermiculture. 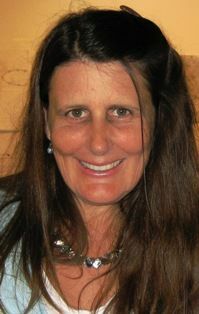 Jill was the co-founder of the horticultural therapy program “Kale, Not Jail” an organic gardening program at the Santa Barbara Juvenile Hall and co-founder of The Santa Barbara Laughing Club. A graduate of the University of California, Jill also studied Multimedia Production at Santa Barbara City College’s School of Media Arts. Jill and Carol Hirashima started Sustainable World Media in 2004. I love your Sustainable World Rado podcast! I am really excited Permaculture and have really benefitted form your show. Be encouraged to produce more. I love your style and the quality of guests you interview. You are making a difference! i’d like to include one of your videos in an exhibition coming up very soon in sydney about the work of PA Yeomans. I wonder if you could let me know how to contact you – I couldn’t find your contact details on the blog here.